Jesse McDonald is 29 years old and lives with his wife Jennifer in Austin, Texas. Jesse has been known as a wicked smart SEO, who gets the technical SEO aspects, can implement, and more importantly, can deliver. He only started in SEO in 2014, which is relatively new, but he was only about 25 years of age when he started. Since he started, he has taken the SEO industry by storm. He is always sharing what he learns in the space. He has already spoken at many many industry conferences. He is always writing new and unique information for the industry and we have eve cited him here a few times. He has spoken at Pubcon, SearchTalk Live, Search Hou and RocksDigital. Jesse has shown me just how wonderful the world of SEO is. Since the first moment I saw him and shook his hand he has eagerly shown me everything there is to know about Google updates and how to best structure website builds. His drive and dedication has inspired many people in our company to always strive for more and to become better in the field of SEO and digital marketing. 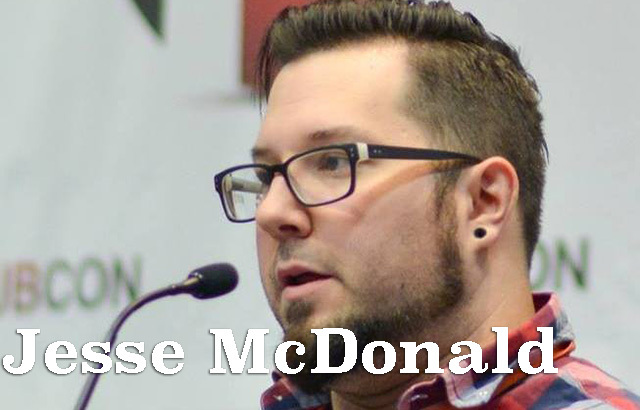 Jesse McDonald Bio: Jesse is the Director of SEO at Geek Powered Studios in Austin, TX. Jesse comes from a graphic design background and entered the SEO industry back in 2014. Since then, he has developed a passion for helping local businesses utilize digital marketing to help reach their business goals. Jesse can be seen speaking at industry conferences and on podcasts, such as Pubcon and Search Talk Live. Favorite thing about the SEM community? My absolute favorite thing about the SEO community is how caring and wonderful the people within it are. Every conference I attend throughout the year feels more like a family reunion. One piece of advice to the SEMs out there? My one piece of advice for SEOs would be to consider the user for every decision you make, especially if you work in the local space. As SEOs, we get so wrapped up in how our decisions will affect the search engines that we don't stop to think about what their effect will be on the people we are trying to draw in to the businesses we are working with. Favorite things in general? Favorite color: red, Favorite food: sushi, Favorite thing to do: collect vinyl records. What you want to be known for in the SEM space? At the end of the day, I would like to be known as someone who was always willing to help and spread knowledge. I am always looking to learn and help others learn and grow as marketers. To learn more about Jesse, check out his web site, follow him on Twitter and connect with him on LinkedIn.